The Breitling Navitimer 1 Airline Editions celebrate the brand’s very important role in the golden era of aviation and some of the most emblematic airlines of that time. Honoring Swissair, Pan Am and TWA, the Breitling Navitimer 1 B01 Chronograph brings the golden era of aviation to the wrist with three colorful and very good looking executions. 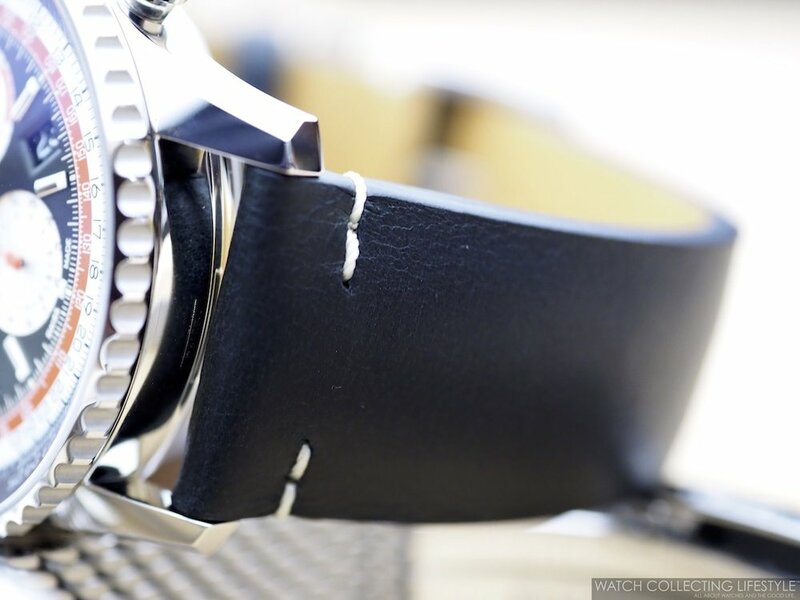 All three watches are available in either vintage-inspired nubuck leather straps —brown or black—, stainless steel mesh bracelet or on stainless steel the Breitling Air Racer bracelet with big perforations throughout —not our cup of tea. All three watches feature display sapphire crystal case backs as well as convex sapphire crystals with double anti-reflective coating on both sides. 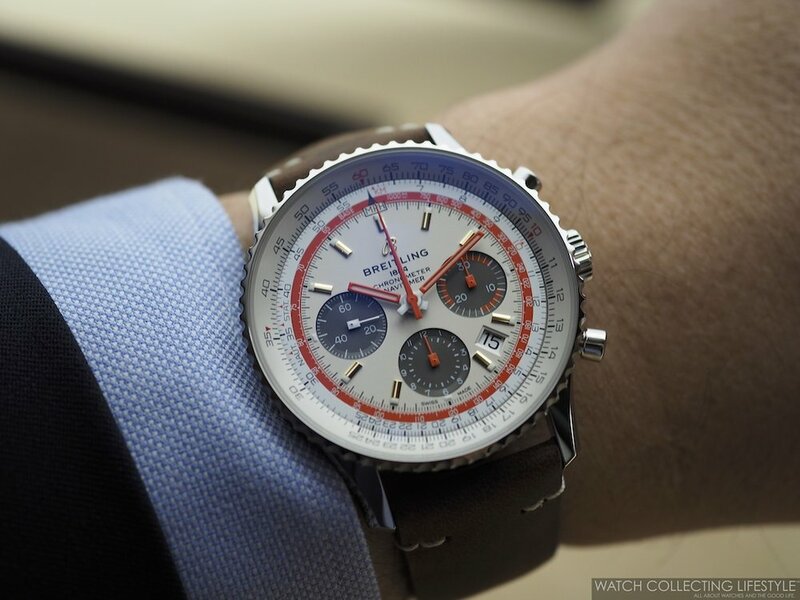 All cased in 43 mm stainless steel cases with white and orange accents on their dials, the Swissair Edition features a black dial with silver chrono registers; the Pan Am Edition is fitted with a blue dial and silver chrono registers and the TWA comes with a silver dial with black chrono registers. The three models in the Navitimer 1 Capsule collection by Breitling capture the spirit of a memorable time for commercial flight and revives the cool and evocative style of the 1960s and 1970s. 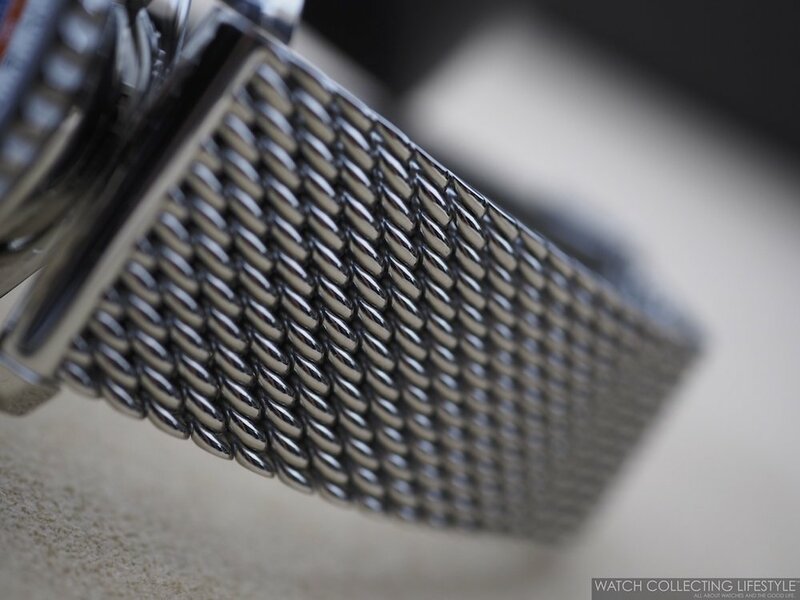 When the Breitling Navitimer wrist chronograph was launched in 1952, it became an instant favorite with aviators and notably with the dashing pilots of the late 1950s, who flew their iconic passenger aircraft, such as the Boeing 707 and the Douglas DC-8, across countries or on intercontinental flights. The new Navitimer 1 Capsule Airline Editions like its predecessor, feature a bidirectional rotating bezel with the famous circular slide rule that allowed the pilots to make any critical calculations they might need to make in the air. In these glory days of commercial aviation, the Navitimer chronographs were the original wrist-worn onboard computers and ultimately established Breitling as the unrivaled official supplier to the world of aviation. The Navitimer 1 Airline Edition watches are powered by the in-house Breitling Calibre 01. This in-house mechanical chronograph provides a power reserve of approximately 70 hours when fully wound. The movement is composed of 346 parts and beats at a frequency of 28,800 vph. All three Navitimer 1 Capsule Airline Editions feature a display case back with an imprint of the corresponding vintage logo of the airline they are honoring. This Capsule Airline Edition has no limitation and is a regular production timepiece. All three Breitling Navitimer 1 Capsule Airline Editions wear true to their size and with somewhat of a vintage aura. From the shape of its hour and minute hands to the retro inspired dials, the three watches are very nice. While black and blue dials are some of our favorites, on this particular watch we think that the silver dial is the absolute winner, followed by the blue and then the black. Sticker Price $8,275 on nubuck leather strap, $9,160 USD on mesh bracelet and $9,225 USD on Air Racer bracelet. 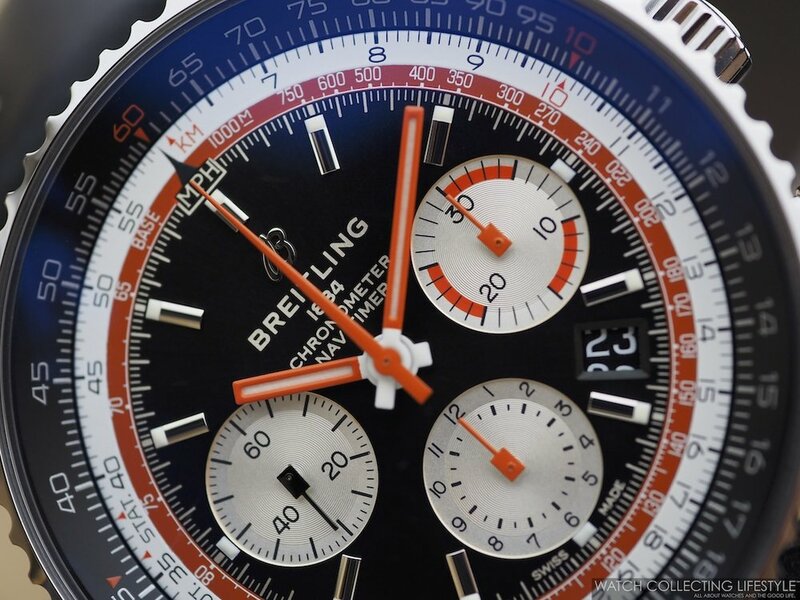 For more info on Breitling click here. 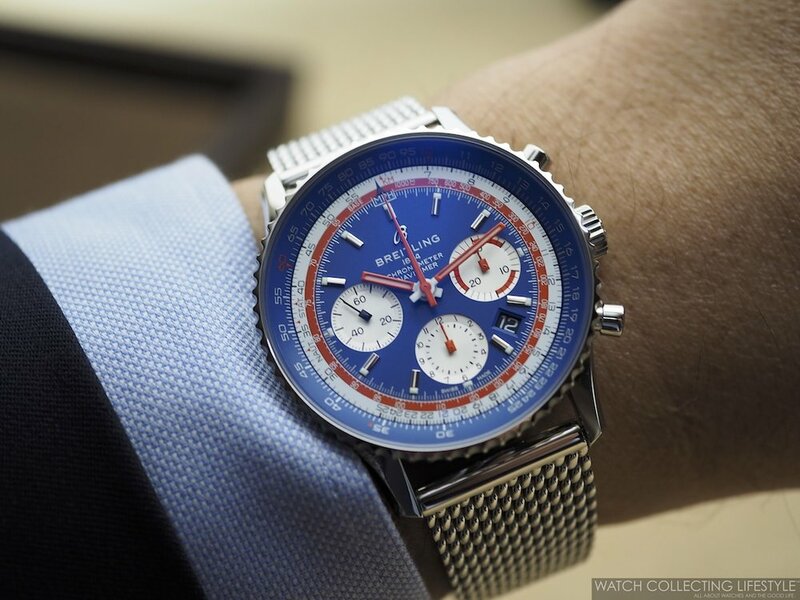 Posted on April 16, 2019 by Editor & Publisher and filed under Breitling and tagged Breitling Breitling Navitimer 1 Capsule Airline Editions Breitling Navitimer 1 B01 Pan Am Breitling Navitimer 1 B01 TWA Breitling Navitimer 1 B01 Swissair Breitling Navitimer 1 Airline Editions TWA Breitling Navitimer 1 Airline Editions Swissair Breitling Navitimer 1 Airline Editions Pan Am Chronographs 2019 Most Popular.